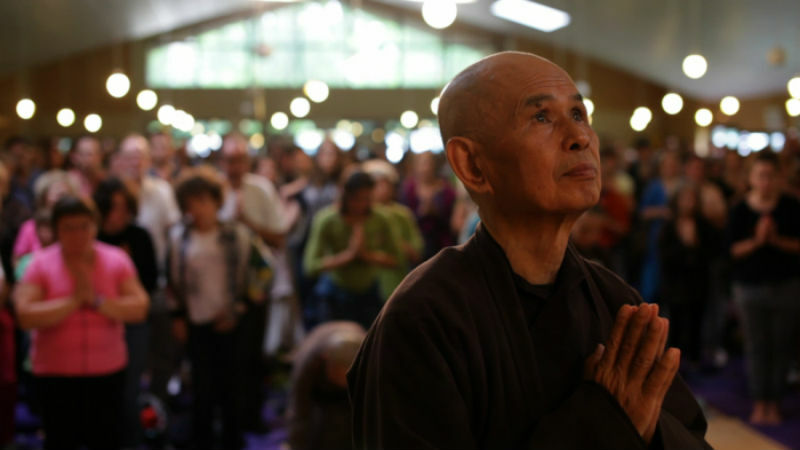 Adopting observation both as subject and documentary approach, directors Marc J. Francis and Max Pugh offer a silent, meditative glimpse into monastic life in Plum Village, a Buddhist centre in the south of France founded by Zen Master Thich Nhat Hanh, and dedicated to the study of mindfulness. 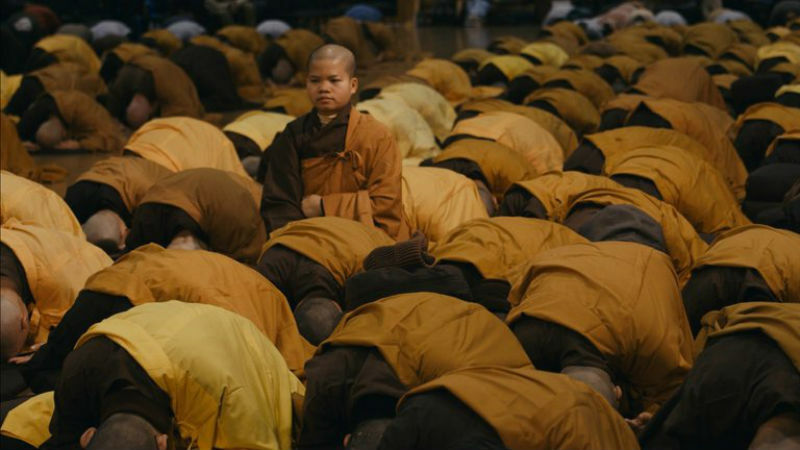 Shot over the course of three years, Walk With Me, as its title suggests, invites the audience to take a walk with the otherwise secluded zen monks in the monastery, and even accompany them on their travels abroad. Narrated by the deep,serene voice of Benedict Cumberbatch and preoccupied not with events but rather their absence, the film resembles more a poem than a documentary. Historical context of Plum Village and its monks is scarce, if not completely missing, and the lack of any personal perspective could easily lead to estrangement. But maybe this is the point. Having spent years detached from worldly longing and possessions, it seems quite unlikely that the monks would open up to deeply emotional confessions or private memories about their past. Thich Nhat Hanh’s notion of thoughtfulness teaches silence and presence, appreciation of the things that are and the art of letting go the things that are no more. Cinema is a medium ontologically fit to portray such state, as it is in its nature to capture nowness, the present moment in all its details. Slow editing helps to convey a philosophy similar to the study of thoughtfulness. Walk With Me successfully delivers a few touching and intimate moments, despite mostly shunning the personal experience. A group of monks silently meditates in line, eyes closed, breath deep yet silent. One young man struggles to find comfort in the exercise – he yawns a few times, budges and twitches -, but he eventually find his way back to peace. The older monk in front of him find the action slightly disturbing. We also witness monks reuniting with their families for the first time after years of separation. In a very moving scene, a man recognises an old friend, whom he had previously thought dead. Similar to Jon Nguyen’s David Lynch: The Art Life (2016) in its exploration of a subject completely disinterested in personal exposure, Walk With Me has no real narrative. Yet, as in the former, there is a level of deep intimacy shared in the spectators, coming not from subjective stories and action, but from the Buddhists’ willingness to communicate the ideas to which they have devoted their lives.. Walk With Me is out on DVD and VoD on Monday, April 30th.